Is there any more refreshing drink on a hot summer day than iced tea? Maybe iced green tea. Or fruit iced tea. I sometimes see fruit tea on the menu at boba shops, and it’s a refreshing alternative. 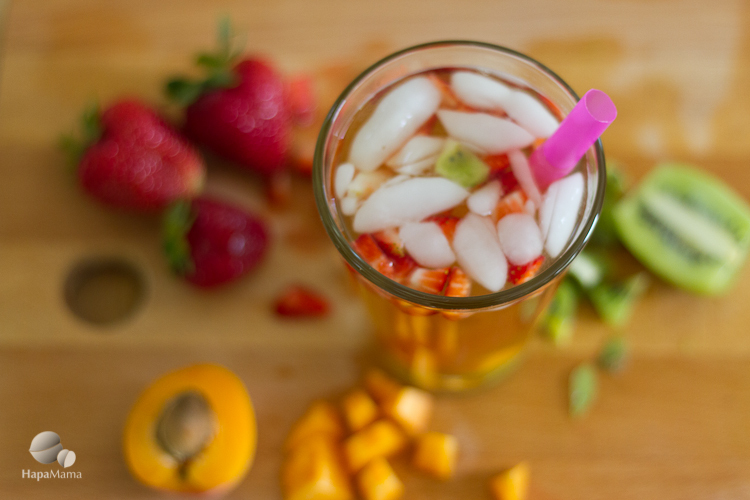 Sometimes, boba drinks can be a too milky or cloying, but fruit tea — which is basically chilled brewed tea (usually green or oolong) blended with tiny bits of fresh fruit. This is such an easy drink to make, I hardly think it needs instructions. The most important part is to take care in steeping your tea. 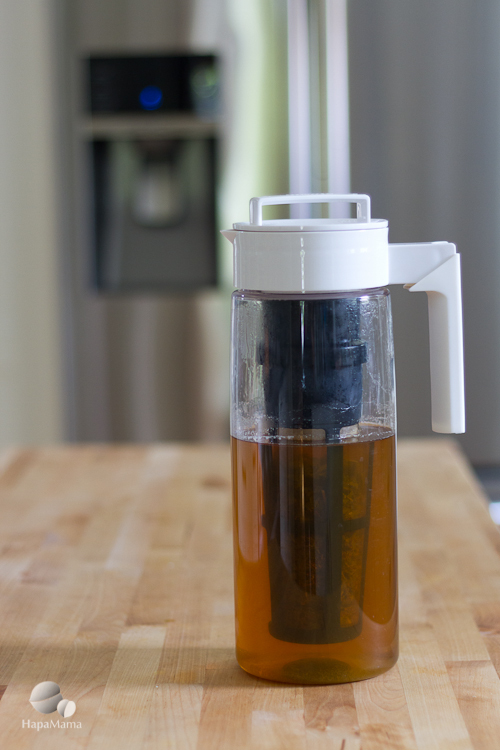 I use a Takeya ice tea maker (Amazon affiliate link), but also like the one made by Lupicia. These have filters built in, but you can also hack your own by using a tea ball (again, affiliate link) and a large Mason jar or heatproof pitcher. But I know… people like recipes! So here goes. Steep the tea leaves in hot water for about 5 minutes. Remove leaves from the iced tea. Add about 1 tsp. honey or sugar per cup of water, if desired. 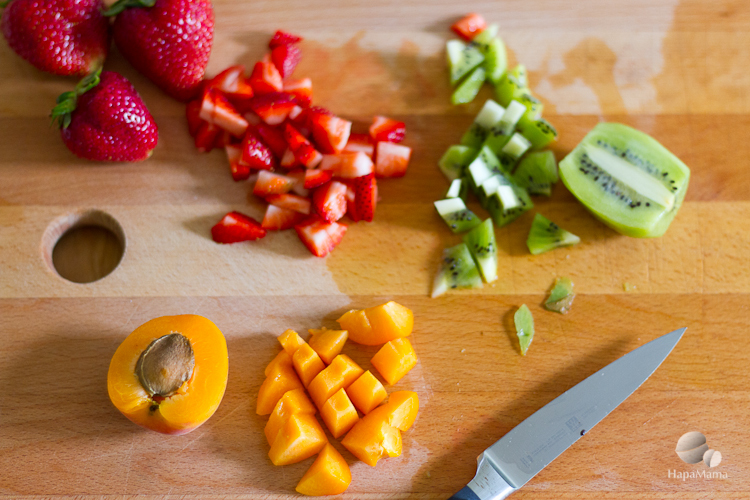 Pour over ice and add chopped fruits to each individual glass. Note: boba straws are a nice touch for this drink! Like tea? Get tips on brewing tea from Taiwan’s tea master and check out my recipe for Peach Oolong Iced Tea. We Indians have our chai with milk and sugar, but have just started to experiment with other types of tea. This seems so easy and so refreshing too! I love chai, too, Corinne! Need to learn how to make it not from a bag or pre-mixed leaf and spice blend. Thanks for stopping by.